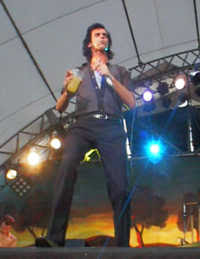 This is Nick Cave and the Bad Seeds performing at Fuji Rock in Tokyo back on the 2nd August 1998. This is a resonably well circulated recording of the show and is missing Brompton Oratory and possibly Whiskey Rye from the concert although there remains some confusion if the latter was performed on this occasion. Sound quality is good and Nick Cave comes across in an upbeat mood somewhat teasing the audience on a couple of occasion. The set list reads as a 'Best Of' up to this point in the bands history. 01. Do You Love Me? 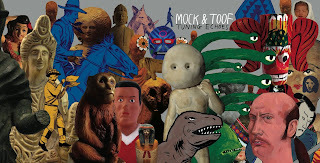 UK producers and remix sensations Mock and Toof released their debut full-length Tuning Echoes on Monday of this week. Riding a reputation as one of the most sought after acts on the DJ circuit, Mock & Toof demonstrate what happens when one combines an education in house music with a love of experimental pop and psychedelic rock. Duncan Stump (Mock) & Nick Woolfson (Toof) are two of the UK’s most creative music producers. Having made a name for themselves via 12” releases on James Murphy’s DFA Recordings and their own Tiny Sticks imprint; the pair have forged a reputation for brilliantly off-kilter, disco-fuelled house grooves that are laced with originality. Enough originality in fact to have caught the attention of Hot Chip, Zero 7, Holy Ghost! and Groove Armada who’ve all come calling for their remix services. As mentioned in The Watson Twins feature, the pathway that led Beehive Candy to the twins was through Rilo Kiley and their lead singer Jenny Lewis. 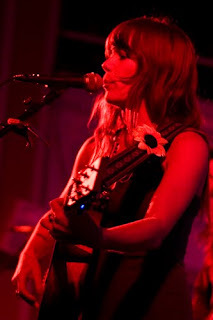 It's notable that performing as a solo artist Jenny has an alt country feel that is quite different to the music of Rilo Kiley, and demonstrates another dimension to her musical talent. Occasionally we feature audienced sourced material here, provided the audio quality is very clean and does the artist and the concert justice, which is the case with this recording. Recorded live at the Plaza Theater, Orlando, USA, last year on the 29th June this is a really good concert from Jenny Lewis.